BlueJay Mining - the 1 simple question SP Angel refuses to answer - why? 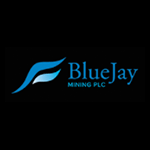 My patience with BlueJay Mining (JAY) and its Nomad and broker SP Angel is now wearing thin. Yesterday I explained how the two grotestquely misled investors with an RNS. I have emailed John Meyer at SP Angel today with a follow up question which he and his firm just seem unwilling to answer. It is a critical question and the silence is deafening.